Watching the sun set on his beloved mountains of East Tennessee is something the eighth president of Tennessee Farm Bureau will have to forgo for a while. 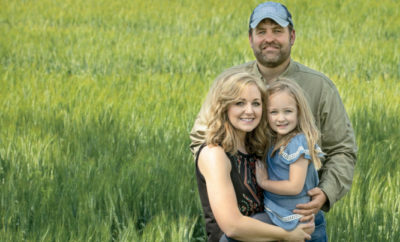 Voted in unanimously by the delegate body at their 94th annual meeting of in December 2015, Washington County farmer Jeff Aiken will be moving to Columbia, headquarters of the more than 644,000-member organization. Aiken and Carol, his wife of 25 years, farm 900 acres with his brothers and nephew near Telford in upper East Tennessee, where they produce corn, hay, straw, tobacco and beef cattle. Carol is a registered nurse and has worked in management in the healthcare industry for twenty years. She says it will be a big change, but looks forward to their new role. 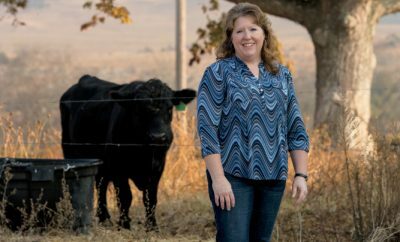 “I can’t wait to see where this will take us and agriculture – to see how Jeff is going to be a part of that. I am very proud of him, but we both know God holds our future and we want to be in the center of His plans. The bottom line is, no matter where we go or what we do, I just want to be where Jeff is; so as long as I am with him, I am good,” Carol says. 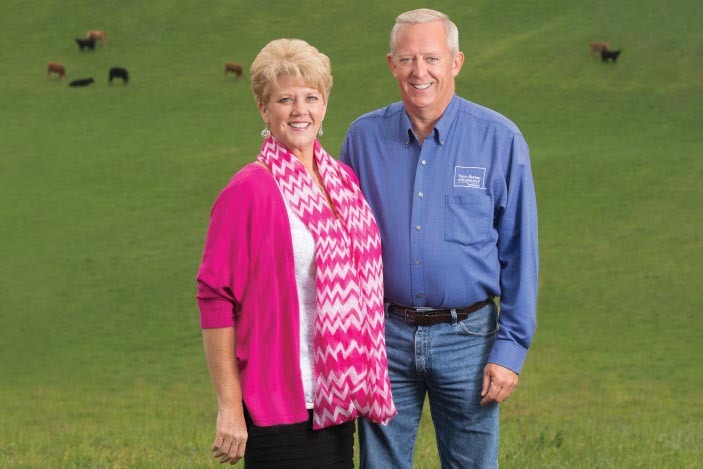 The Aikens are no strangers to Farm Bureau. 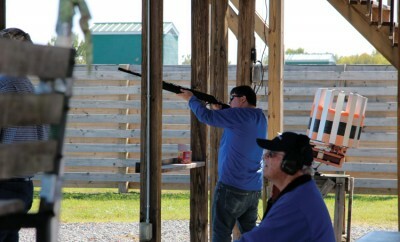 In fact, Jeff’s parents were among the first members to join the Washington County Farm Bureau. 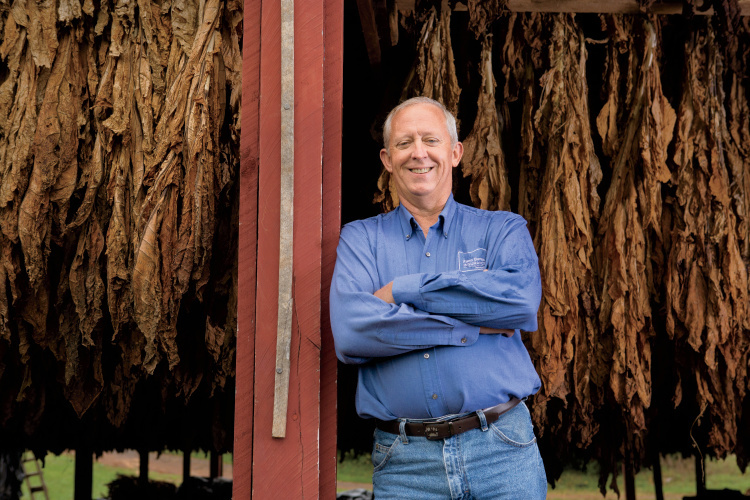 Aiken himself grew up in the organization, serving as state chair for the Young Farmer & Ranchers (YF&R) program, as well as being named the 1992 Tennessee Young Farmer of the Year. He has served as vice president since 2012 and a director-at-large on the state board of directors since 1998. 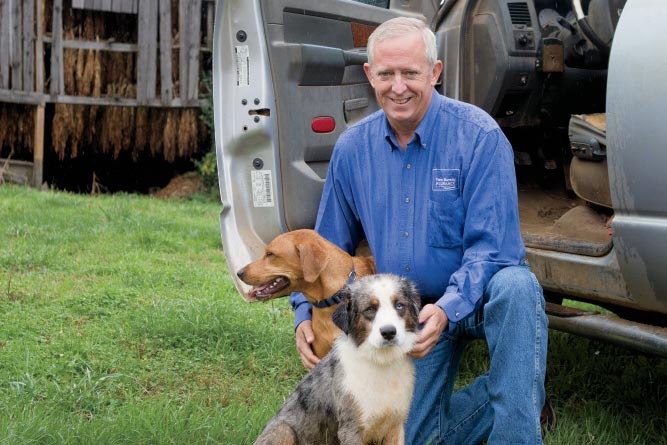 As president of the nation’s largest Farm Bureau, Aiken becomes the leader and spokesperson for farmers all across the state. He will guide the board of directors and staff in the upcoming years to a future of reaching an increasingly urban population about the importance of agriculture. Aiken replaces Cumberland County farmer Lacy Upchurch as president. He says Mr. Upchurch will never be forgotten and stresses you can’t forget the past when looking toward the future. 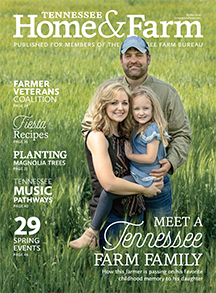 With homegrown leadership, a vision for the future and a passion for agriculture, President Jeff Aiken looks forward to growing as an organization and a voice for agriculture in Tennessee and beyond. My printer is broken so I am emailing this to Jeff Aiken, Please make sure he get it. It is personal. My name is James McQueen of Lexington Tn. My Family and I have had insurance on all our cars and home with your company for about 40 years or more. My wife passed away November 18, 2016 and shortly after that my home burned up. My daughter was living with us because her husband passed away and she can’t work due to medical problems. After my home burned we tried to find someone to rebuild it for over a year with no luck , no one wanted to work on a burned up house so we purchased a smaller house in Lexington Tn. I put the new home in my Son and daughters name because I was told I needed open heart surgery but I am too old for surgery. I stayed in ICU for three days and nights to get the fluid out of my system. I didn’t want the Nursing Home taking the house away if I had to go. I wanted to use your company insurance again for my cars and new home. I was told the home being in my Son and Daughter name they both would have to come to the office to sign the papers. My Daughter has Lupus ,back trouble , heart problem, Kidney problems and blood pressure so I stopped by the office and ask them if I could take the papers to my daughter to get them signed and they said no, that she would have to come in. My daughter didn’t feel like getting ready or coming to the insurance office and called them on the phone asking if she could sign the papers electronically by email and they told her they would check and call her back. They never called her back so she called them again after about a month and was told they would not insurance the house because it had been too long not getting insurance on it. I was told earlier by the office an inspector had already been out and checked the house and papers had been drawn up ready to sign. This didn’t make any sense to me at all. I will be 86 years old in March and we have used your insurance company for 40 years for all our cars and home. We have never failed to pay our payments. The home I’m trying to get insured for my children is at 25 Robertson St. Lexington Tn. which cost $67,000.00 and I had it put in my children’s name. Sheila Renette Carrington and William Thomas McQueen. I can’t understand why they refused to insure it. I’ve always paid my bills. I have used Farm Bureau Insurance Company for 40 years or more and I don’t think I was treated fairly refusing to insure our new home. I would appreciate any help you can give me on this matter. I want to stay with the insurance company I’ve had for many years. God Bless You and Yours.